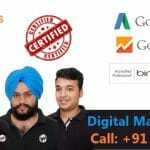 Joomla Development company in Chandigarh – Are you looking for the best Joomla development company in the beautiful city Chandigarh? If yes, then this is the place you have been looking for a while now. Joomla is a CMS platform that is trusted by millions of people to create brilliant websites. Joomla is nothing new but the features that get updated regularly grab the most attention. We provide the best Joomla website development services in Chandigarh, Mohali, Panchkula & Zirkapur that will completely leave you satisfied. Call 7696228822 or mail us your requirements on info@webhopers.com. There are many reasons why people trust and use Joomla on a high scale. You might have found several companies that provide Joomla development services but we are the best at what we do. We have professionals that are specially trained to give you the expected and satisfactory results. Joomla is easy to use, open source content management system. Using this platform you can easily create websites and edit the content in it. It is probably one of the best platforms that anyone can use to enhance the performance of their website and everything else. Joomla development is all about updating and developing the websites that are built by the Joomla. 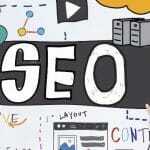 These websites need constant development services so that they can do well in the internet world. You might be wondering why so many people use Joomla to make websites. Well, there are a lot of reasons that are a testimony to this statement. If you are still not impressed with Joomla then below mentioned are some of the features of Joomla that will compel you to use it over any other CMS platform anytime. Using Joomla for website development will even benefit the non-technical users. It has functional customization with plugins that are easy to use. They also have organized web content. You get an ease of site maintenance. It also has multilingual text support. It has media manager and banner management features too. There is no denying the fact that you will find a number of companies that will provide good services. But if you are looking for the best instead of just good then we are what you have been looking for. We provide quality services that will completely develop your Joomla website to do much better in the on the internet and in the search engines. Below mentioned are some of the other services that we provide to those who want to develop their websites created out of Joomla. We provide services to any website that is built by Joomla be it an E- commerce website, educational websites or anything. 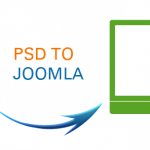 Custom extension development of Joomla. Maintainance services of Joomla websites. Joomla development services are on a hike these days because of the increasing number of people using it as the CMS platforms. There is no wonder about the increase in their services. Chandigarh is a beautiful and a well-planned city where internet people are switching towards Joomla as the CMS platform to create a website for their business to avail the maximum benefits. Therefore, if you still are not using this platform for the website creation then you are seriously missing out on something. 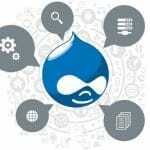 Why should you choose WebHopers for the best Joomla development services in Chandigarh? 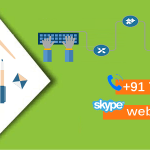 WebHopers is one of the leading companies in Chandigarh that are known to provide the best services. We also are cost effective that means we provide the best and affordable services. We have extremely talented people as the employees that tend to put every effort to make your business and website grow to avail more profit and benefits. Therefore, if you are looking for a company that provides Joomla development services then we could prove to be the best for you.